If you know any fantasy sports players then you know that there is only one kind, the kind where the game is an all-consuming obsession. There are currently 40 million fantasy sports players spread throughout the United States and Canada, which makes it a multi-billion dollar a year industry that is continuing to grow at an incredible rate. A high percentage of players are committed to season or yearly long leagues with their friends and family, but the past several years have seen rapid growth in the daily fantasy sports industry. The huge uptake indicates that this is a trend that is likely going to be with us for quite some time yet. The fantasy sports industry as a whole dates back to 2006, with daily fantasy sports only recently being introduced in an effort to increase mainstream exposure. With plenty of profits to be had many sites have now taken to advertising across every medium including television, radio, and hundreds of fantasy sports-related properties across the web. Prize pools offering a million dollars are regularly featured for NFL, and championship tournaments can be found at any time of the year for a variety of other sports. And there are also quite a few sports sites offering prizes which regularly reach the million dollar mark. Despite the massive increase in popularity of daily fantasy sports, it is still at the tip of the iceberg as far as market penetration is concerned. Before you visit the most respected DFS website, make sure you check out the fantasy sports promo codes page and take advantage of the latest promotions offered. While daily fantasy sports is very similar to season-long leagues there is one major difference between the two and that is that players can draft a new team every day in the daily version. In the case of NFL, this trait is limited to every week. It’s extremely simple to draft your team, follow the live results on any DFS site, and then collect your winnings. Unlike regular season long fantasy sports where you get to draft a team at the start of the season and use it for the entirety of that season, DFS (Daily Fantasy Sports) allows players to draft a team as often as they like. This means that players aren’t penalized by injured team members just because they happened to draft them months ago. Instead, they get to optimize a new team every day for the chance to win some real money. Fantasy sports players whose poorly chosen teams get booted early on in the season can still get plenty of action with DFS. Bad decisions aren’t punished forever, as you can learn from your mistakes and have a new team up and running in less than 24 hours. The majority of states in the US have legalized DFS. 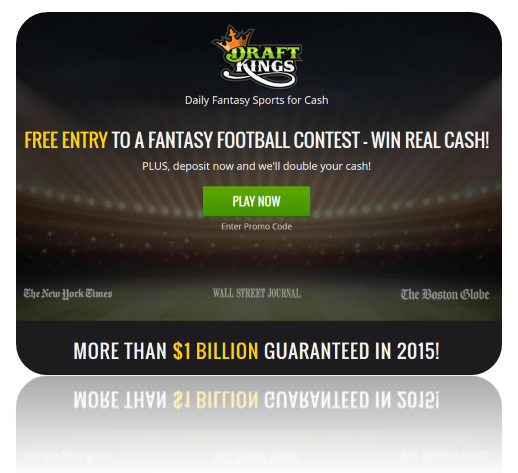 However, a few states have banned DFS including Arizona, Iowa, Louisiana, and Vermont. Rest assured though, there are legal rumblings in most of these states to get daily fantasy sports legalized. Despite the fact that DFS is a daily event and there are large sums of money changing hands when compared to season-long leagues, it is still subject to the same legal guidelines as seasonal fantasy sports. During 2006 the Unlawful Internet Gambling Enforcement Act (UIGEA) cast a net criminalizing offerings of poker, casino, and sports from overseas gambling operators. However, due to a special caveat fantasy sports managed to slip through the net and the UIGEA actually created the legal framework which allowed DFS entrepreneurs to establish their businesses. As the DFS sites are not based offshore and are in fact based and regulated within the US all US citizens can benefit from the protection afforded them by the US legal system. This means that all the usual avenues for payment and collection are available including credit and debit cards, PayPal, and the many other payment options currently operating in the financial marketplace. When it comes to daily sports the usual issues which plague other gambling sites rarely, if ever, crop up to the benefit of all concerned.